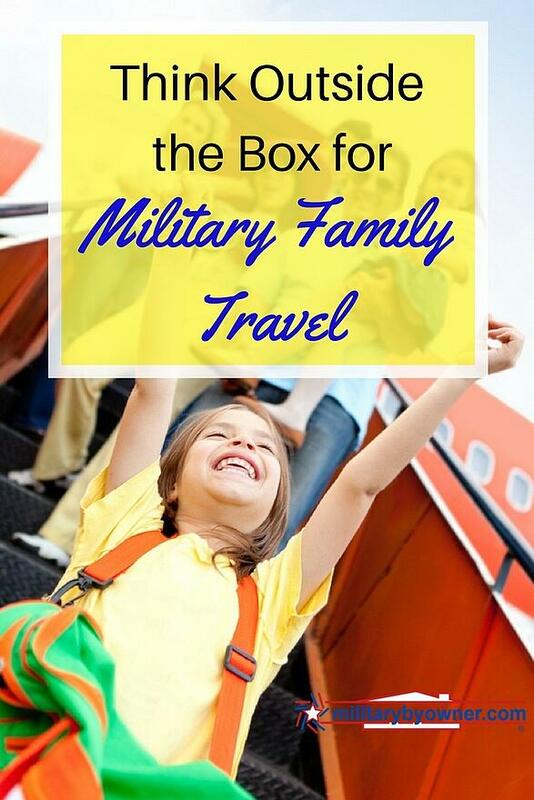 Think Outside the Box for Military Family Travel! Over the years, our military family has learned that when a city hosts a popular event, it’s often difficult to find a lodging vacancy. Ever tried to book a last-minute hotel during the Cherry Blossom Festival in Washington, D.C.? You might be out of blooming luck! Even the sketchiest no-tell motels quickly fill to the brim. However, in today’s adventure-seeking market, a traveler visiting a citywide festival has options! When there is no room at the inn, you now have the option of staying at a private residence. By using an online reservation service such as Air Bed and Breakfast (Airbnb) or HomeAway’s Vacation Rentals by Owner (VRBO), many sightseers are finding non-traditional lodging. On arrival, travelers may find luck with other up and coming services such as Uber and Lyft. Not sure how it all works? Read on to find out more about these services and the crowd sourcing that makes them such a success. Not just for vagabonds, short-term accommodations may come in handy for military families on a spring break road trip, a PCS househunting expedition, or planning a summer vacation get-away. How do Airbnb and VRBO work? Airbnb and VRBO are hospitality service companies that offer short-term lodging. With an online listing, a traveler can choose a private residence to be their home base while exploring nearby tourist attractions or seeking out local favorites. With Airbnb, the accommodations may be a private room with communal areas (kitchen, bath, living room, etc.) shared with the host. Or, the guest might have the run of the entire apartment or house and the host resides elsewhere. Ideally, this service is for a few people on a brief visit to a city. If traveling with four or more, a VRBO property could turn an ordinary trip into “champagne wishes and caviar dreams”! Optimum for gathering with extended family, rallying with several couples, or planning a tribe getaway, the more the merrier to cover the costs. Frequently, properties are a vacation home or a second residence and the host is not present when renting out their estate. With both Airbnb and VRBO, the visitor and the host will share back and forth communication. Much like booking a hotel, this interaction should include an explanation of the amenities, fees, and policies before settling on a reservation. Payment will be held until 24 hours after check-in. When an adventurous sort lands at their destination, they are now in search of the most convenient way to get around the city. If you're familiar with public transit, such as the subway system of New York City, the metro rail of Washington, D.C., or the T-line trains of Boston, navigating the routes to popular attractions is fairly easy. However, what if your entire family gathers for a reunion at a vacation rental near the sugar white beaches of Destin, Florida? Rather than catching a city bus or calling a local taxi, you may choose to wander around town via the ridesharing services of Uber or Lyft. Uber and Lyft are transportation network companies with chauffeured vehicles for hire. By using a smartphone application, a customer requests transportation from an available driver and arranges the payment. What options do I have with Uber? UberX – Low cost, casual ride, in a vehicle privately owned by the driver. UberXL – Similar to UberX, but with a large vehicle for multiple passengers. UberBlack – An elite ride in a black high-end model sedan, town car, or SUV. UberLUX – Opulent luxury car service for select customers. UberAssist – With wheelchair accommodations, this option is available for those requiring additional assistance. No matter if requesting a ride to the rodeo arena or calling a car to browse shops on Rodeo Drive, there’s sure to be an Uber driver at your service. What options do I have with Lyft? LyftPlus – Simply a ride in a larger vehicle that accommodates up to 6 riders. Lyft – Budget-friendly, informal ride, in the driver’s own qualified vehicle. What contact will I have with the driver? Upon accepting a ride request, a driver will call or text the customer with an estimated time of arrival. Much like hailing a cab, a customer can sit quietly or choose to visit with the driver. At departure, a customer simply offers a polite farewell, as payment is handled through the smartphone app. If you're making plans to attend a concert, sporting event, or city celebration, be aware that prices for both lodging and transportation will be higher than average. Additionally, rates for ride requests rise significantly during morning and evening rush hour and at closing time. If you’ve laughed along with the epic Amazon reviews of a plastic banana slicer, you know the impact of sharing personal opinions about a product or service! For example, with Airbnb and VRBO, both the guest and the host have the opportunity to leave feedback. Similarly, with Uber or Lyft the driver and the passenger can both be evaluated. When a person takes the time to review the services they’ve utilized, their affirmation can boost the credentials of the parties involved. Consider complimentary words after enjoying comfortable accommodations. Ponder a positive endorsement after a smooth drive. A small gesture of favorable comments can make a big difference! For even more helpful tips and tricks for traveling with your military family, download the following free e-book from MilitaryByOwner!